My puzzle for the weekend was one step beyond the HUFFORD name: Ellen Dorcas “Ella” RINEHART’s mother was a born Hufford. What is below can be considered a replacement for page 224 of the HUFFORD FAMILY HISTORY. The first problem with page 224 is that the book editor misspelled the last name of Ella’s first husband. 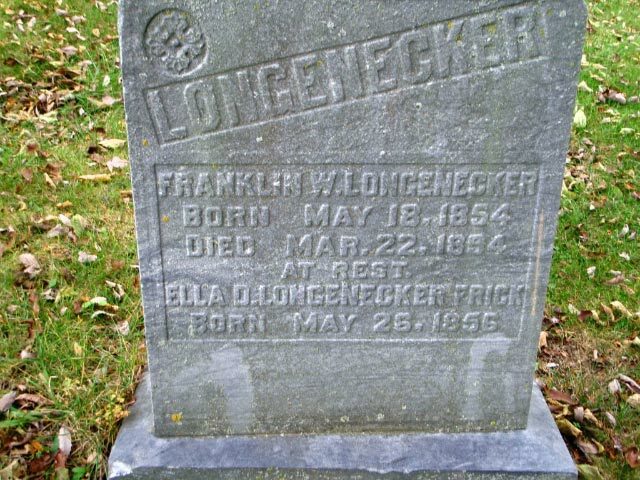 The correct spelling is LONGENECKER. Ellen Dorcas “Ella” Rinehart: 1st Mrs. Longenecker, 2nd Mrs. Frick, 3rd Mrs. Jennings. Ellen Dorcas “Ella” RINEHART was the 11th child of Sarah Hufford (page 218), who was the 6th child of Christian III (page 200), who was the son of Christian II (b. 1746), who was the son of Christian the immigrant (b. 1716 in Schwaigern). Ella married Franklin W. LONGENECKER on December 24, 1874. With Franklin, she had seven children: Iva E. (m. Donovan SHIELDS), Artha F. (m. Jesse VAN HART), Leona (m. Charles W. McDONALD), Pearl A. (m. Elmer HARTER), Olive (m. Earl WISE), Dessa Z. (m. Walter “Bob” TIBBETTS), and Webster Orville. 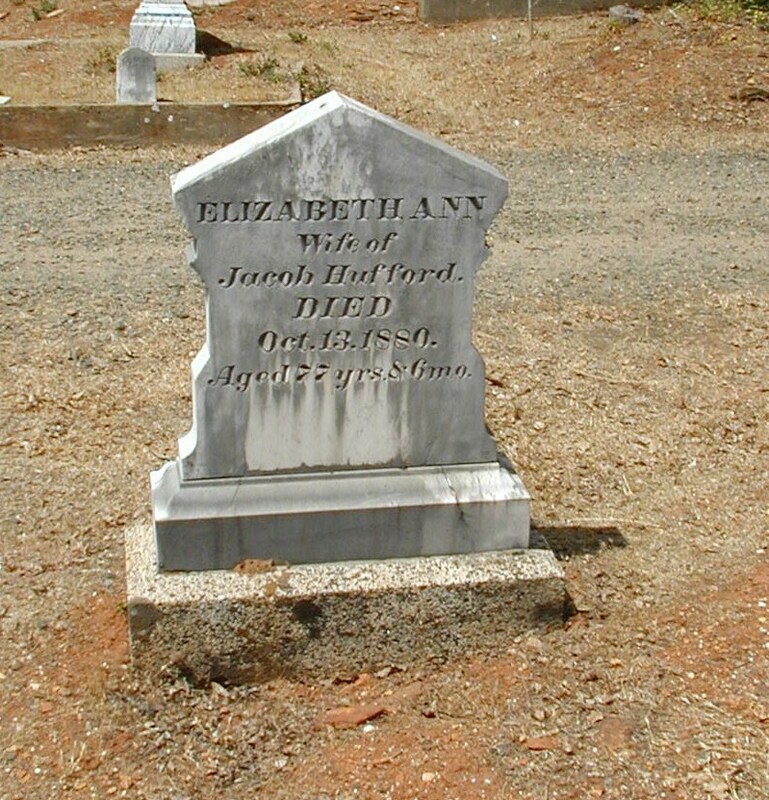 Ella’s husband Franklin died in May 1894. In 1896, she married the widower Rudy FRICK (b. 1845), a carpenter and Civil War veteran. He was the father of at least seven children from his first marriage. In November 1903, well into her 40s, Ella gave birth to Rudy’s son, Robert. In February 1904, Rudy died. Nineteen months later, Rudy and Ella’s son Robert died. About a year later, Ella married a third time, to another widower: William Calvin JENNINGS, a farmer born in 1852. Calvin died in March 1930. In April 1930, Ella was living in Washington Twp., Darke Co., Ohio, with her daughter Pearl and Pearl’s husband Elmer Harter. Ella died of bronchial pneumonia on March 3, 1931, in Darke Co., Ohio. Her remains were laid to rest at Hillgrove Cemetery, with her first husband and her son Robert. PAGE NOTE: Ellen Rinehart is listed on page 224 of the 1909 HUFFORD FAMILY HISTORY. Finding a child you’d never known of is always a surprise, especially when it’s the child of a man who died young in the Civil War after time in the Andersonville Prison. Jefferson C. BEERY was born in 1832, the son of Susannah HUFFORD and her husband David BEERY. Susannah was Christian Hufford’s granddaughter through his son Casper. 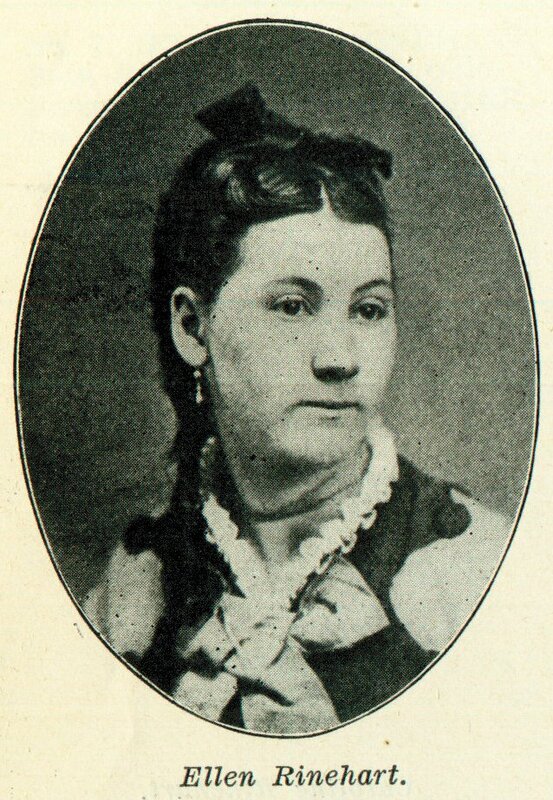 Susannah was 48 with eight or nine children living when her husband died in the Mexican War. Her children ranged from six to 29. 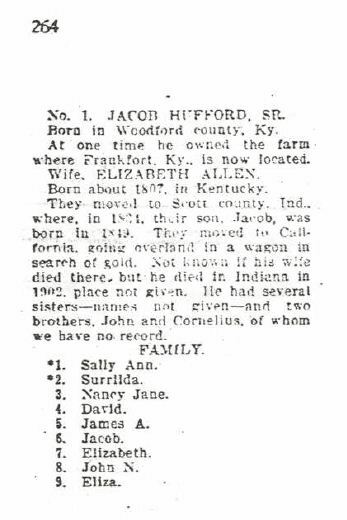 Susannah’s basic information is on page 166 of the 1909 HUFFORD FAMILY HISTORY. Information on Susannah’s descendants is at pages 166 and 167; the only mention of Jefferson is that he was dead. Jefferson was a surviving twin; his twin brother John died as an infant. Jefferson was eight when his father left for the Mexican War, and Jeff never again saw his father. Jeff was ten when his father died. When Jeff was 28, in June 1861, he married Sarah A. SEVITTS. When he was 30, in November 1862, he left for the U.S. Civil War. He enlisted as a private in Company C, 72nd Infantry Regiment, Ohio. On June 11, 1864, he was captured in Ripley, Mississippi. He spent time in Andersonville Prison and died of disease in late October 1864 in Savannah, Georgia. Jeff Beery had a son: William Beery, born four months before Jeff enlisted into the U.S. Army. 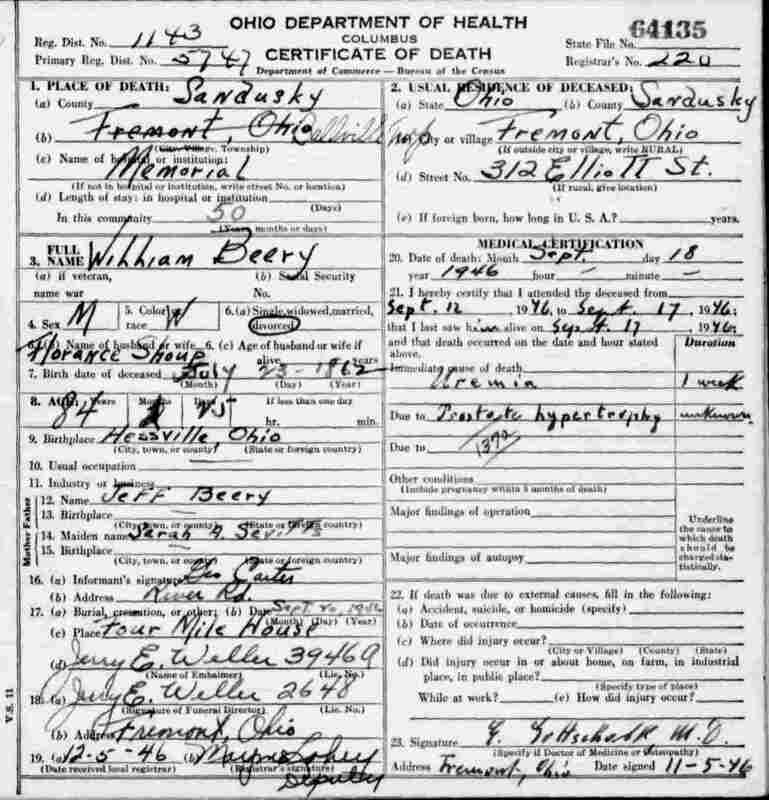 William died in 1946 in Sandusky Co., Ohio. Whether William had any children is not known. 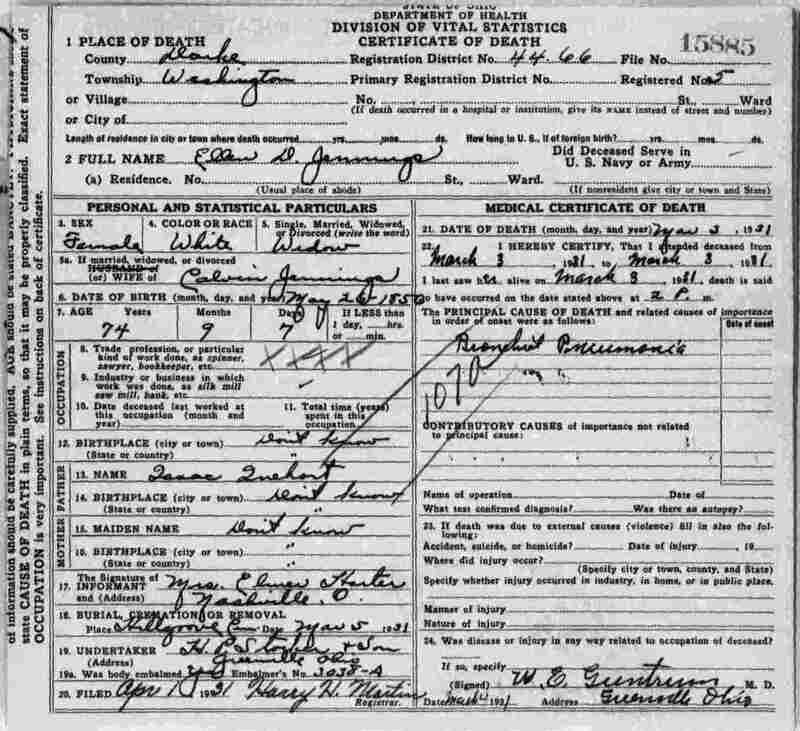 I can find him on the 1880 census, 16 years old and doing farm labor in Sandusky Co., Ohio, but the next I find him is in 1910 after his marriage had ended. Lots can happen in thirty years. PAGE NOTE: Jefferson Beery is listed with his parents and siblings on page 166 of the 1909 HUFFORD FAMILY HISTORY.